Item model number:HGWT. use and requires no wiring. Just attach it to your hose, set it and forget it. 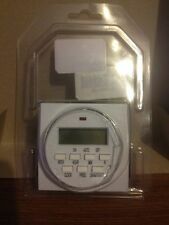 two simple dials that allow gardeners to set the frequency of watering from 1. Just attach it to your hose, set it and forget it. You may also be interested in. Made by Hydrofarm. The last part of the instructions forRANDOM MODE has atypo. It says to press [week] [min] which is wrong & will do nothing. 1 Minute On/Off. 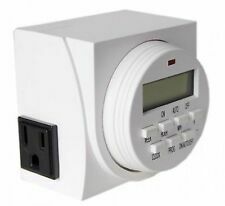 To turn on/offRANDOM MODE, press [WEEK] [HOUR]. 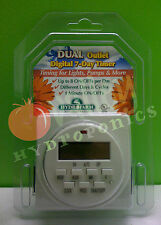 Hydrofarm Timer 125V. Condition is Used. Shipped with USPS First Class Package. Works fine, In good condition. Just attach it to your hose, set it, and forget it. Set watering frequency from 1 hour to 1 week. Suitable for all garden watering systems. Just attach it to your hose, set it and forget it. Set watering frequency from 1 hour to 1 week. About Hydrofarm, Inc. Allows you to automate your lights. Essential for all hydroponic system applications. Safe, secure and easy. Just attach it to your hose, set it and forget it. In the case of factory defects, we will replace the product for you. Just attach it to your hose, set it and forget it.